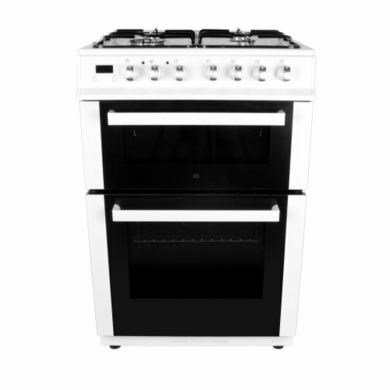 Enjoy flexible cooking with this iQ dual fuel 60cm white cooker from the electriQ range. 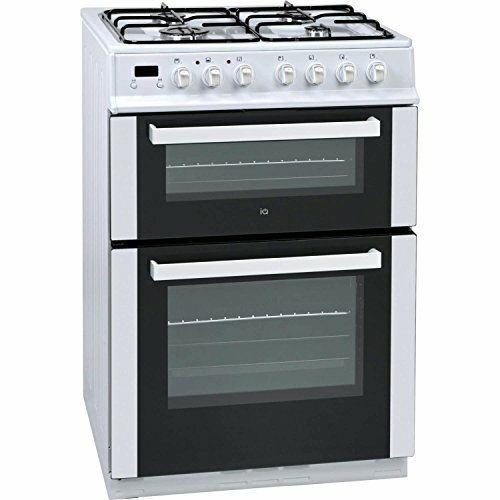 With a 4 burner gas hob and an electric fan-assisted main oven, this cooker also has a spacious top oven that can grill as well as cook. 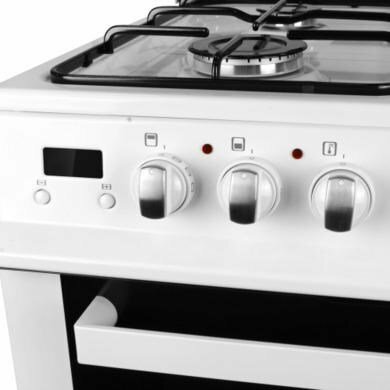 This cooker also has a host of other useful cooking features such as a digital clock with a minute minder, a LPG conversion kit and a handy oven light. 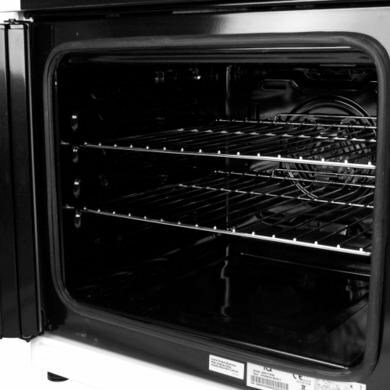 The main oven has a 58 litre capacity and is fan-assisted which means that hot air is circulated around the food, resulting in evenly cooked food. 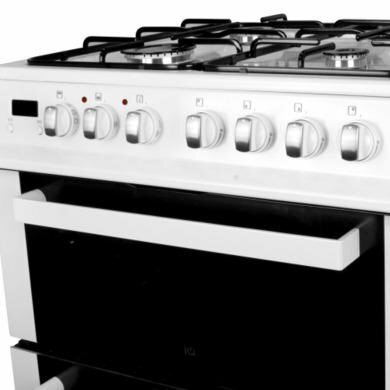 The oven thermostat ensures that the temperature is kept consistent and controlled throughout the cooking duration for more accurate results. The top oven has a 36 litre capacity and can cook and grill food. 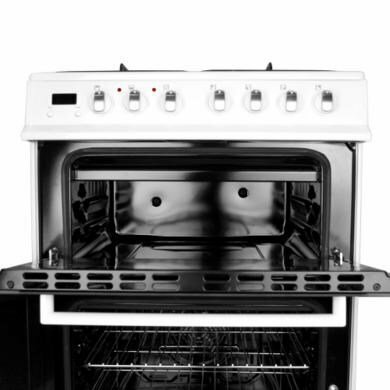 This makes the top oven a versatile and ideal space if you want to cook different flavoured foods separately to prevent tastes from mingling during cooking, keep dishes warm or grilling a quick snack. Pots and pans will be extra secure no matter their weight, by enamel pan supports. Ultra-durable these pan supports can provide extra stability and are easy to clean.